optimizing the quality of experience of their end-users. Video Codecs Supported by Twilio’s Programmable Video SDKs. Check the browser support per platform table. * Twilio Video for iOS relies on hardware support for H.264. Hardware encode/decode is supported on all iOS devices. ** Twilio Video for Android relies on hardware support for H.264, which depends on devices’ capabilities. Developers can evaluate H.264 support in Android SDK v2.0+ using the following code snippet. Before establishing a multimedia communication, the involved parties need to agree on the codecs to be used. Twilio manages this through an automatic codec negotiation that imposes some interoperability restrictions. * Android H.264 relies on hardware support, which depends on devices’ capabilities. 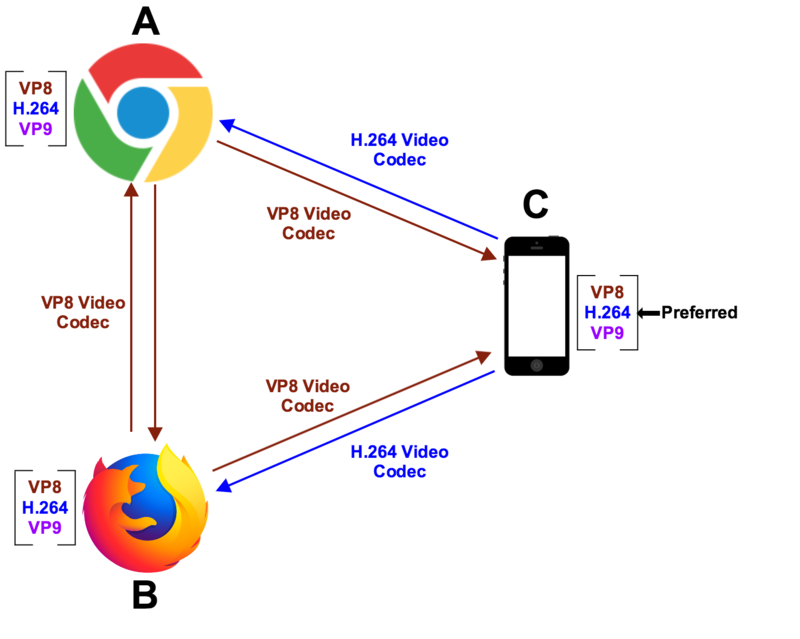 All the supported client SDKs interoperate their video communications (using either VP8 or H.264) except for Android-Safari < 12.1 video links, where interoperability is only guaranteed when the Android hardware ships H.264. For inbound tracks (i.e. tracks getting into the SFU), the SFU tries to accept the codec preferred by the client as long as this codec is supported by the SFU. For outbound tracks (i.e. tracks getting out the SFU), the tracks are only offered in the codec in which they are being received. 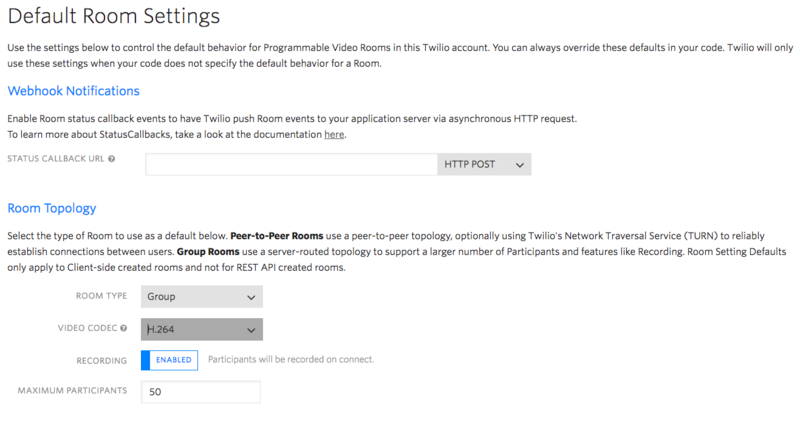 When the Group Room is created using the Rooms REST API, you can set the following parameter: VideoCodecs=H264. For further details about using Safari < 12.1 in Group Rooms see the Working with Safari < 12.1 Guide. It allows selecting both the preferred audio codecs and the preferred video codecs in which media tracks are published by a client SDK. Selected codecs are provided as an ordered list of codec specifications, so that codecs specified first have higher preference. Only codecs supported at a given SDK can be specified as preferred. Codec Preferences are set when a participant connects to a room as part of the ConnectOptions. The fact of a participant selecting a preferred codec does not guarantee the SDK to chose such codec. The preference just means that the codec shall have higher priority among the list of possible codecs to use. The actual chosen codec may depend on other aspects such as the codecs supported by the other parties of the communication. The following code snippets illustrate how a Participant can connect to a room preferring iSAC as audio codec and H.264 as video codec. For further information on how Codec Preferences work, please check the corresponding SDK reference documentation regarding the connect primitive and its ConnectOptions parameter. In Twilio Programmable Video, we say that a room is using Multi-codec capabilities when different participants send their video (or audio) using different codecs. Multi-codecs may be useful for optimizing the battery life of your applications as many vendors provide hardware acceleration support for specific codec suites. For example, all iOS devices have H.264 hardware acceleration while many modern Android devices provide it for both H.264 and VP8. When different devices have different hardware support, it may be interesting to sent media using one codec (i.e. the one supported by the local device hardware) while receiving in another (i.e. the one hardware-supported by the remote parties). 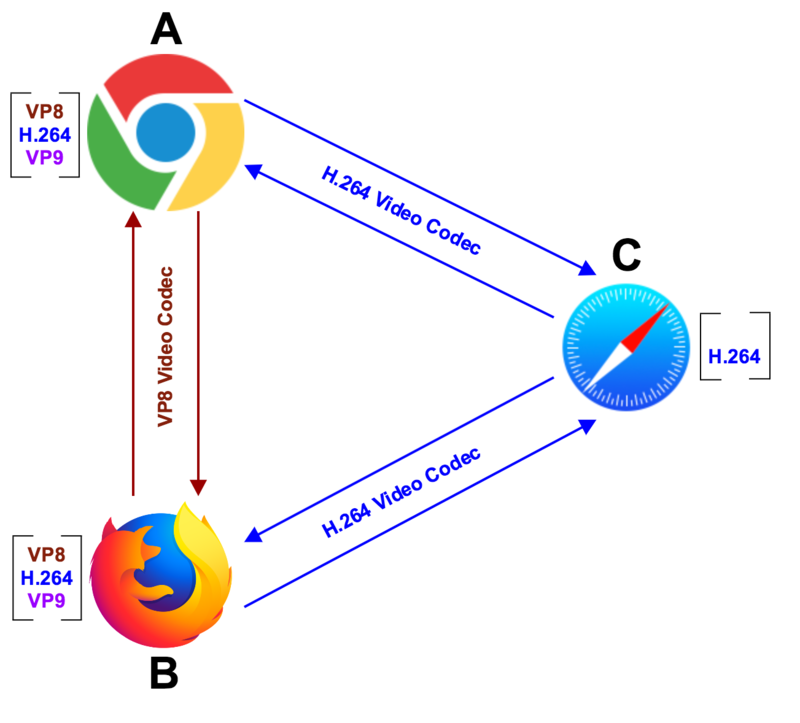 In Group Rooms, Multi-codec support for video is currently limited to H.264 and VP8. In Group Rooms, Multi-codec support for audio is currently limited to Opus and PCMU. In Group Rooms, support for H.264 video is currently limited to the Constrained Baseline profile at level 3.1. This means that the maximum resolution of a video track is 1280x720 at 30 fps. The use of Multi-codecs in a Group Room with recording activated causes recordings to be also Multi-codec. This means that a recording keeps the codec of the track originating it.